Ok, so it’s not quite September, not quite fall and beach weather is still here. 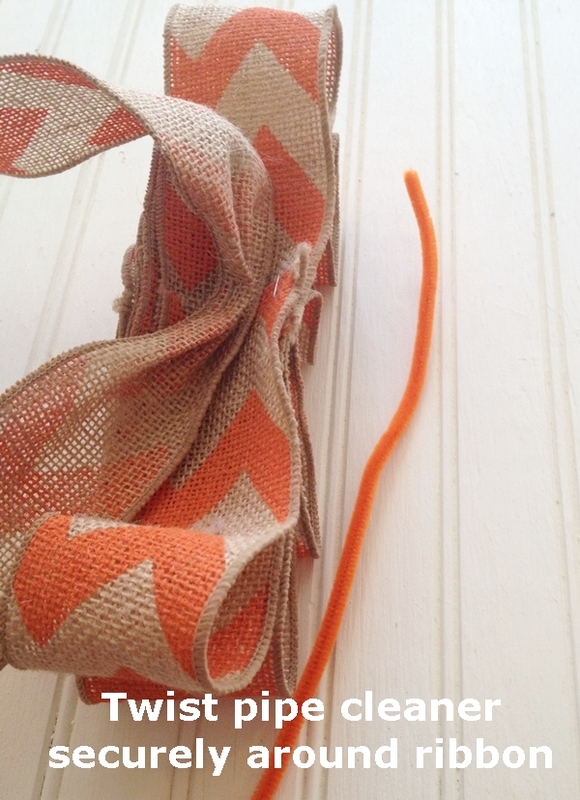 But, I was ready to start making some new fall decor anyway! I’ve been seeing lots of fall wreaths already and I’ll admit that spurred me into action. 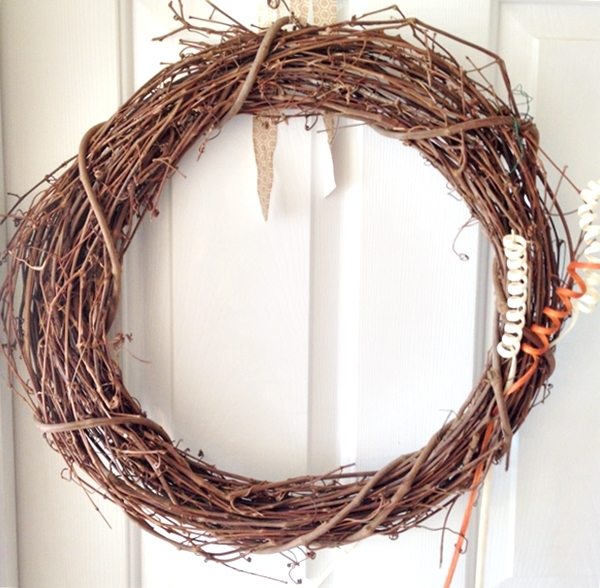 This grapevine wreath took less than thirty minutes to put together with supplies I had on hand. It’s been getting a little bit cooler here in Charleston this week, so I thought it was a great time to start sorting through my fall craft supplies. 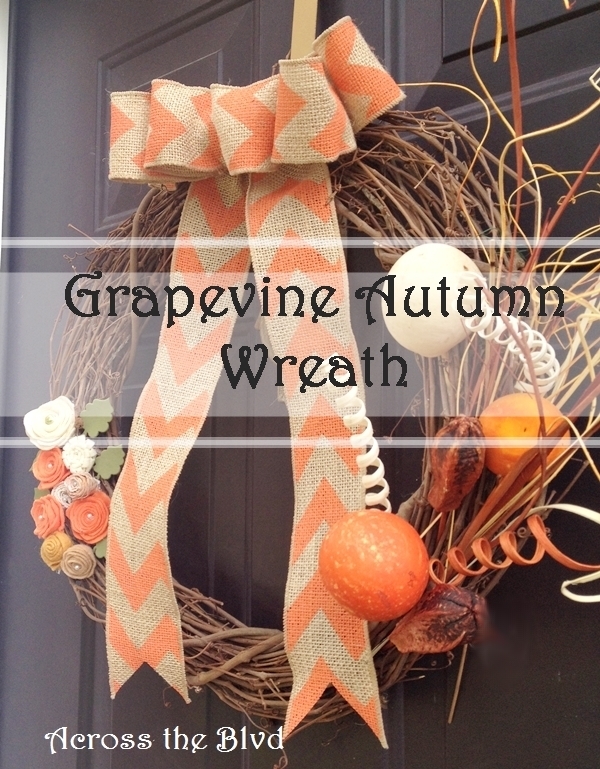 I found a grapevine wreath, some stems and picks, burlap ribbon and some rolled felt flowers I made last year. I spread it all out on the floor before deciding how my wreath was going to look. I’m not sure when I bought these stems and picks, but they came in handy for this. Don’t you love it when you find something stashed away that you can now use? 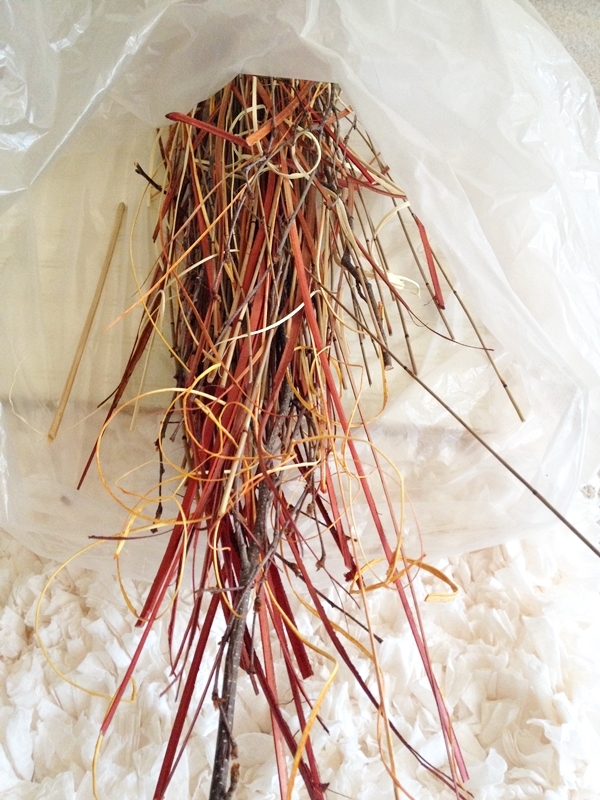 I started by sorting the stems and pulling out the ones I wanted to use. I wanted to see if I could make them secure enough in the wreath without using glue. By weaving them through the grapevine, it worked. After they were secure, I trimmed off the bottom parts of the stems. I’m not quite ready to pull out the pumpkin decor, but these picks with orange balls are just right for this. I hot glued felt flowers to the other side of the wreath. I already had these, but making new ones would have only taken a few minutes. To see how I make them, have a look at my rolled fabric flowers. post. I added in a few green foam leaves. For the center of the wreath, I wanted a large bow. 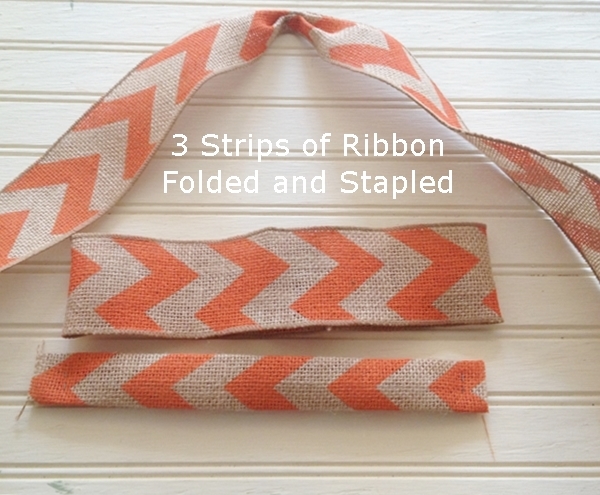 This chevron patterned burlap ribbon is the right color and size for what I had in mind. Making bows like this is pretty simple. I’ve learned that when using multiple layers of burlap, using a pipe cleaner to hold them together works great. I used hot glue to secure the bow to the wreath. I like to use a piece of twine, but the weight of this bow was too heavy for that. My neighbors may think it’s too early for fall decor to start showing up in the neighborhood, but that’s ok. We know, as bloggers, we are always a few weeks ahead for seasonal decor! Right? I’ll just tell them that all the other bloggers are doing it! I made this wreath before I decided to go coastal with my fall decor this year. Fortunately, Gloria loved the wreath, so it’s finding a home on her front door and I’ll be making one that goes with my coastal autumn decor. Oh my, this is very pretty! Love all the elements! Your rolled flowers are so pretty and the added stems are perfection! You have such a talent for creating the most beautiful wreaths! 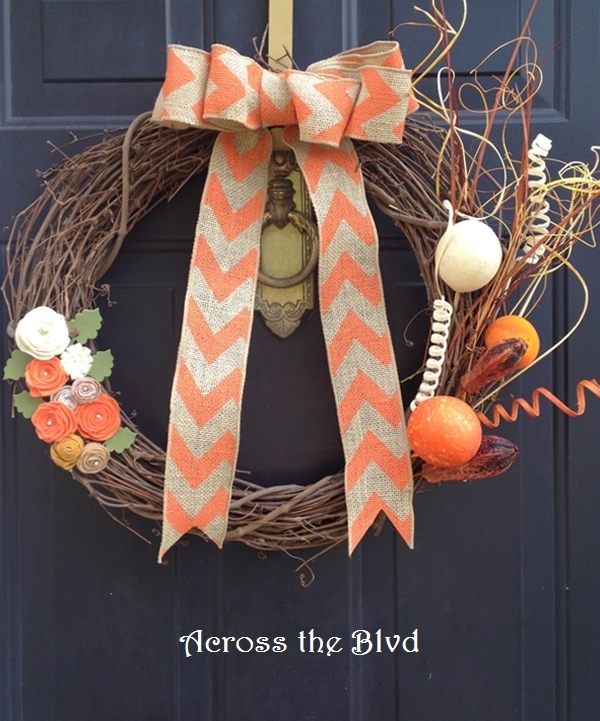 This is my favorite fall wreath that I’ve seen this year! Great job! I’m flattered, Laurie! Thank you! 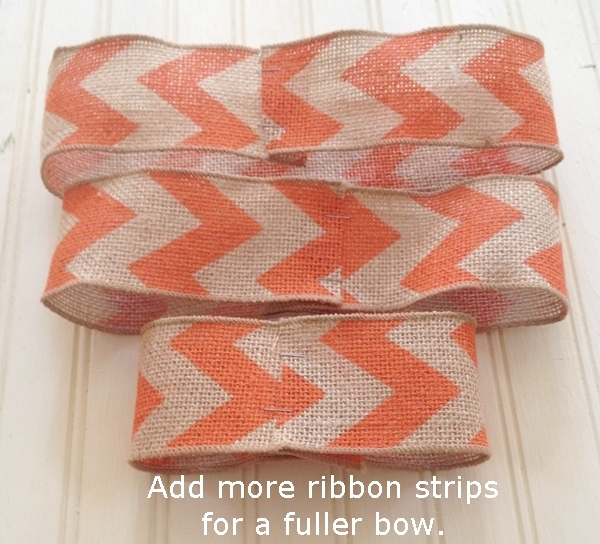 It’s fun to pull out different items and figure out how to use them together. i’m delighted that you like the wreath so much. That is such a pretty wreath! 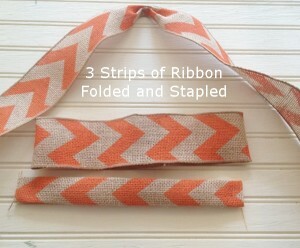 The ribbon is very pretty and the add ons suit it nicely. The weather is cooling off here in southern Ontario, Canada and after spending a week up north at a rustic lodge (and heading back to school and work next week) I am getting in the mood for Fall decor. Thank you, Elizabeth! I’m hoping for much cooler weather here soon. We’re still in the mid 80s most days. But, it’s close enough to September to have me thinking about fall. A rustic lodge in cooler weather sounds wonderful! Thanks so much for stopping by. I say bring on fall! And if you can nudge it a little faster by putting out the fall decor, even better!! 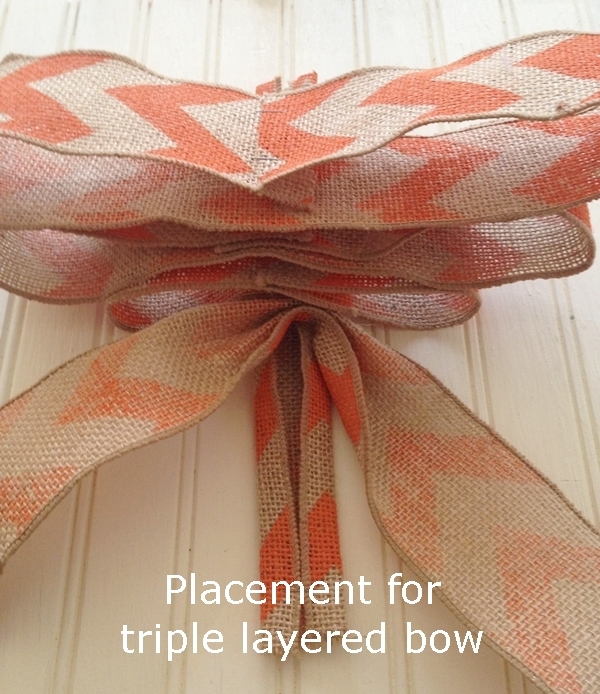 Your transitional wreath is perfect…..just enough to say, “Welcome, autumn!” I am finding that burlap is one of my favorite textures, especially in coastal decor. 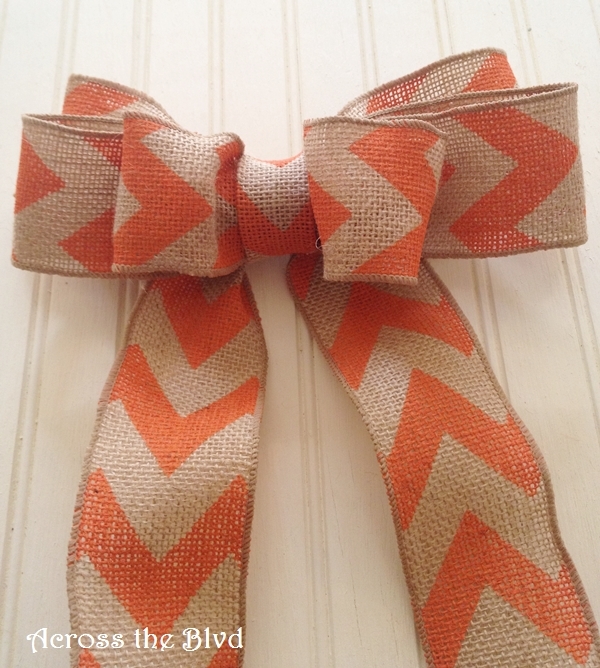 Love that chevron bow. 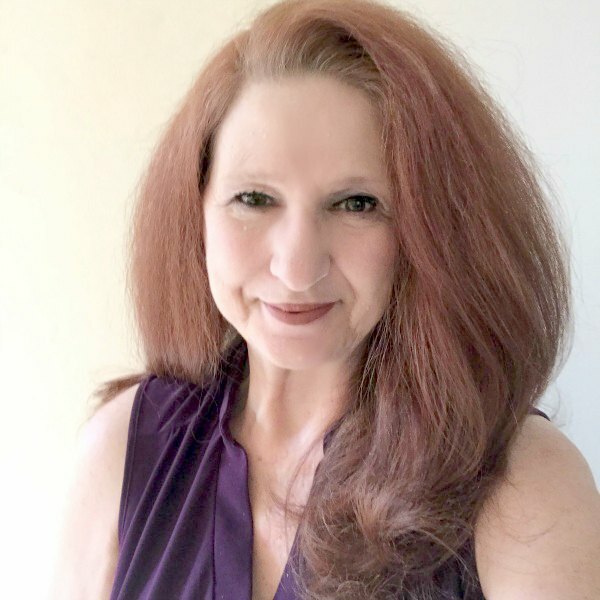 And thank you so much for visiting my blog today! Always enjoy hearing from you. I agree! I can’t wait for cooler days. Thank you so much, that’s just what I was hoping to say with this wreath! 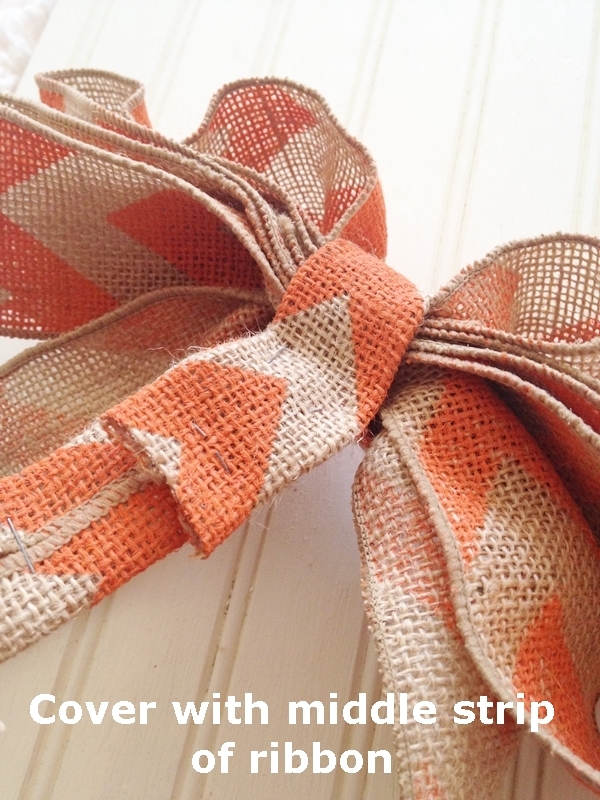 Burlap has been my go texture for a while. It’s so versatile, depending on what you pair it with. I always enjoy stopping by Sea Glass Cottage! I hope you have a lovely weekend. This is a beautiful wreath! Thank you for the Snickerdoodle link party invite also! I’ll be by later to link up! Thank you so much, Kate. I’m happy that you’ll be sharing at Snickerdoodle Sunday! Thank you, Winnie. I’m hopeful it bring some cooler weather, too! Thanks for visiting. This wreath is so lovely, Beverly! I love how you gather those recyclable materials and made something fabulous out of it. You’re very resourceful and creative. I like it! Thank you! I find it hard to throw things away when I know they can be reworked into other things! Thanks for visiting. Very sweet for Fall!! 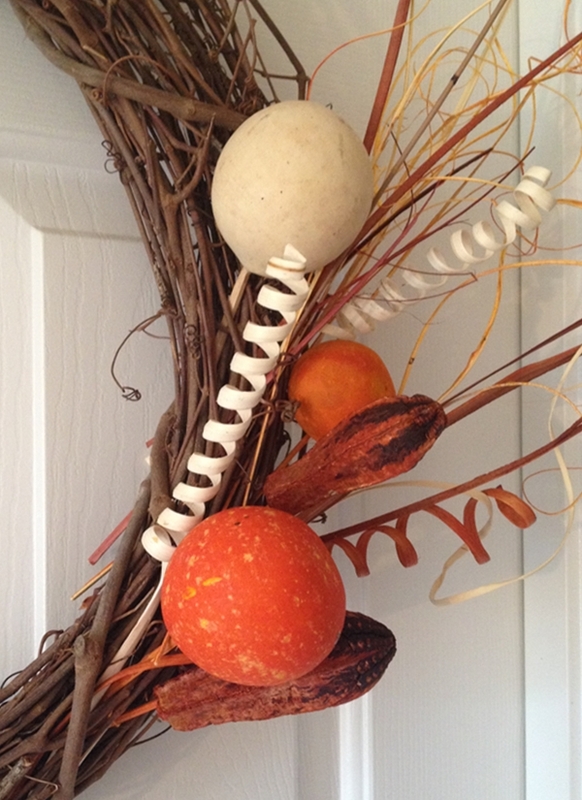 I am trying to hold off on my Fall decorating until after Labor Day but the Holiday is so late this year….. Thank you, Debbie. I usually try to wait until September 1st, but I got a little ahead this year. Thanks for stopping by. 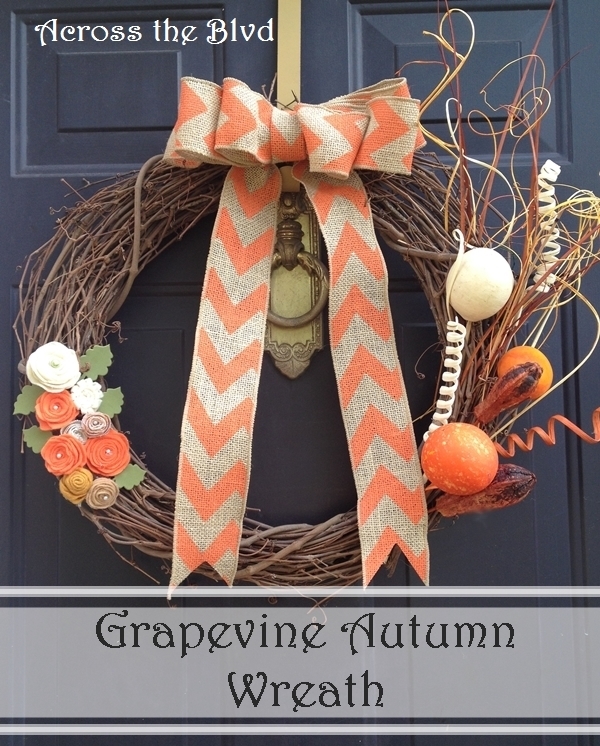 I love fall decorations and this wreath is so pretty! I love fall decorating, too. Thank you, Valerie. Your wreath is very pretty! 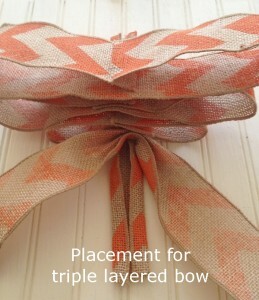 I could see a lot of pretty fall decor coordinating with it! Found you via Teach Me Tuesday. Have a great week! Thank you so much! I’m glad you like it. Thanks for stopping by. Hope you have a great week, too. 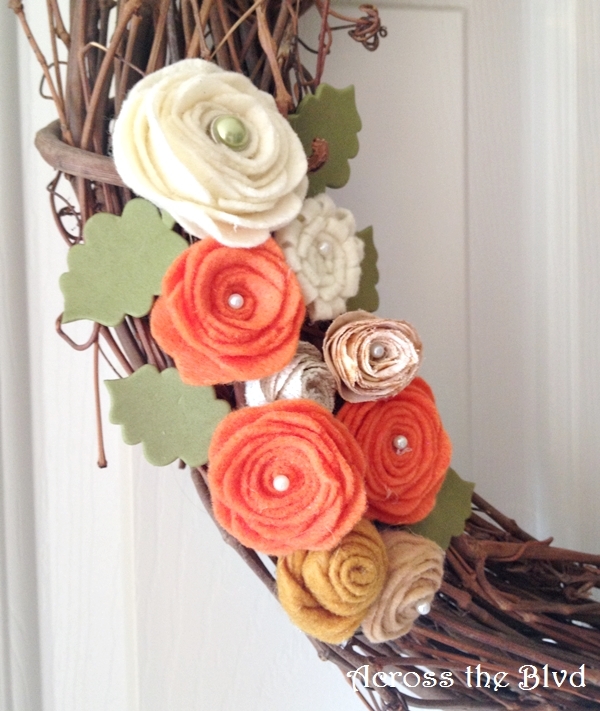 Super cute fall wreath! 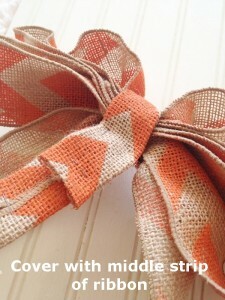 I love the fabric flowers, and I also have that orange burlap ribbon. Thanks for sharing at Submarine Sunday!! Thanks, T’onna! Those fabric flowers make great fillers on lots of crafts. I’m happy to share on Submarine Sunday, thank you for hosting and for stopping by. Hi, Beverly ~ This looks beautiful! I love how you made that bow! I’m so ready for fall. I actually just got all of my decorations out. 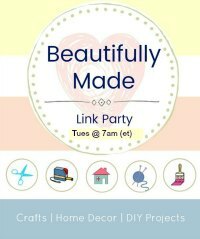 :0) Thanks for sharing this wreath with us at the Merry Monday Link Party! Thank you, Tiffany. 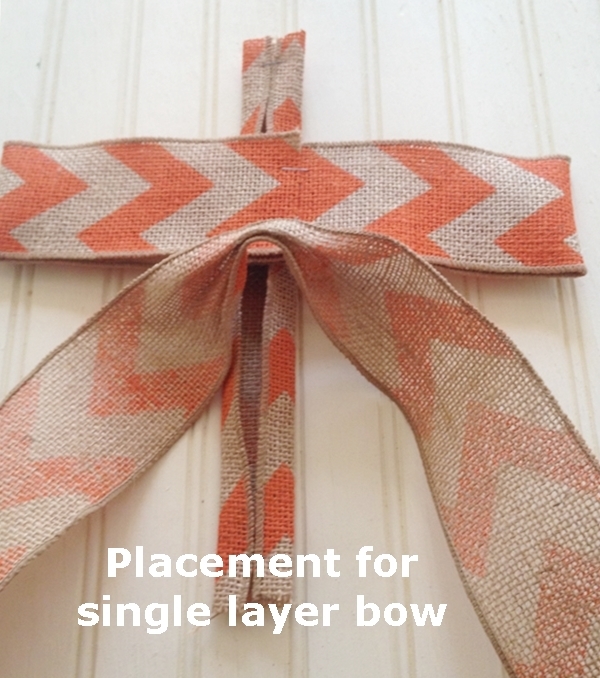 That bow making technique is really easy and it turns out right every time. I’m always happy to share at Merry Monday. Thanks for stopping by. This is so pretty, perfect for Fall! Thanks for sharing at What’d You Do This Weekend?! Thank you, Joy. I’m happy to share on What’d You Do This Weekend. Thanks so much for stopping by. I definitely need to get a new wreath for our front door for the fall. 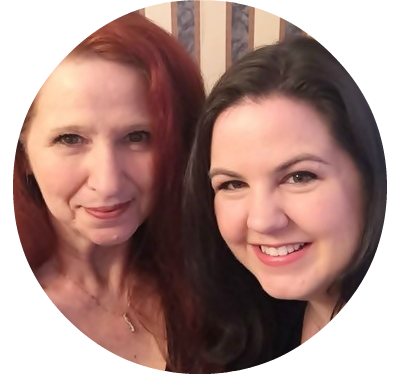 Thanks for sharing at the #AnythingGoes Link Party. I’m going to need to make another one. Gloria decided she loved this one and so I’m giving it to her for her house. I enjoy making wreaths though, so it’s not a problem. Thank you for hosting Anything Goes and thanks so much for visiting. Hi Beverly, you are right bloggers are always ahead of everyone else, it inspires the rest to get going. Your wreath is very cute, I love the felt flowers!!! Thanks for sharing on #OMHGFF this week. Thank you, Karren. Those felt flowers are so easy to make and are a standard go to embellishment for me. I’m happy to share on #OMHGFF. Thank you for hosting!